FREMONT, Neb. 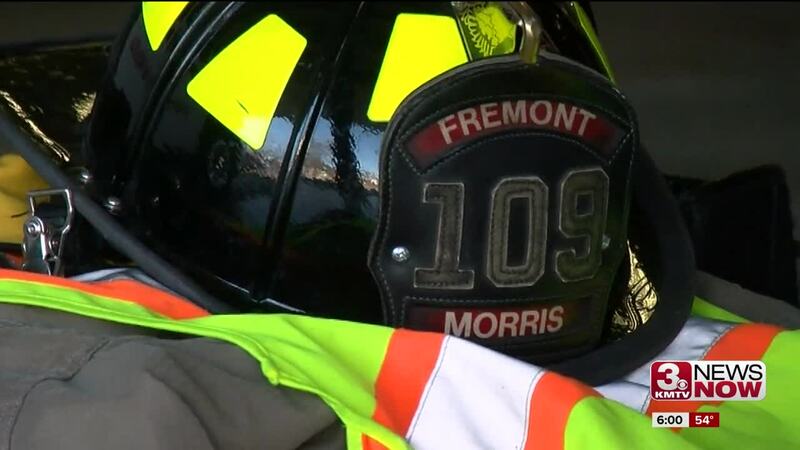 (KMTV) — It's been a tough past few days for Fremont firefighters. They've been working nonstop, assisting people affected by the floods, but last week a few of those firefighters nearly lost their lives while trying to rescue a family. "We were risking a lot to save a lot and that's what we do," Fremont Firefighter Nick Morris said. Multiple agencies worked to rescue Fremont firefighters who got stuck in flood water last week. "The conditions out there changed so rapidly," Morris said. Morris and his crew were dispatched to a home that was quickly flooding, basement walls fell before they made it to the home. But, as the team was trying to rescue the family of 5, their boat capsized. "It was real cold, real dark and there's debris floating around in between us," Morris said. There was a lot of things to be scared of out there but these guys all held it together." Captain Pat Tawney waited for the men at the hospital. "It was extremely emotional to see your guys come in and shaking the way they were," Tawney said. It was pretty difficult." And in soaking wet suits, flooded boots along with freezing cold hands, Morris tells us he wasn't sure they'd make it out alive. "We were up against some tough decisions out there and nobody should have to go through that," he said. "When you leave your families and you go to work, you don't know if you're going home," Local Union President Dave Wordekemper said.